The mayor discusses the consent decree. He is flanked by Corporation Counsel Zachary Carter and NYCHA interin Chairman Stanley Brezenoff are at left and NYCHA general manager Vito Mustaciuolo and Deputy Mayor Alicia Glen are at right. Shutting off the water to a building to disguise leaks. Installing a refrigerator motor in a roof fan to cover up the fact that the fan didn’t work. Using foam spray, newspaper, cork and paint to make damaged walls look whole. Hiding flammable materials. Painting 2×4 lumber black to pretend that a fence was supposed to end where it had broken. Employing cardboard cutouts in place of ceiling tiles. Posting phony “danger” signs to keep prying eyes away from a building’s embarrassments. Such are the ways NYCHA employees allegedly deceived federal inspectors, according to a complaint released Monday by the U.S. Attorney for New York’s Southern District along with a sweeping consent decree in which NYCHA and the city of New York accepted the imposition of a federal monitor and promised to spend billions to fix public housing. Saying he was “disgusted” and made sick by the allegations in the federal complaint—some the city has admitted, and others that de Blasio says his administration will investigate further—the mayor said he felt “tremendous urgency” to address the problems with lead paint, mold, vermin, leaks, heat and hot water the U.S. attorney documented. In the consent decree, the Justice Department agreed not to pursue a lawsuit against NYCHA or any criminal charges. De Blasio said the agreement involves an “open-ended funding commitment” and will bind his successors at City Hall. 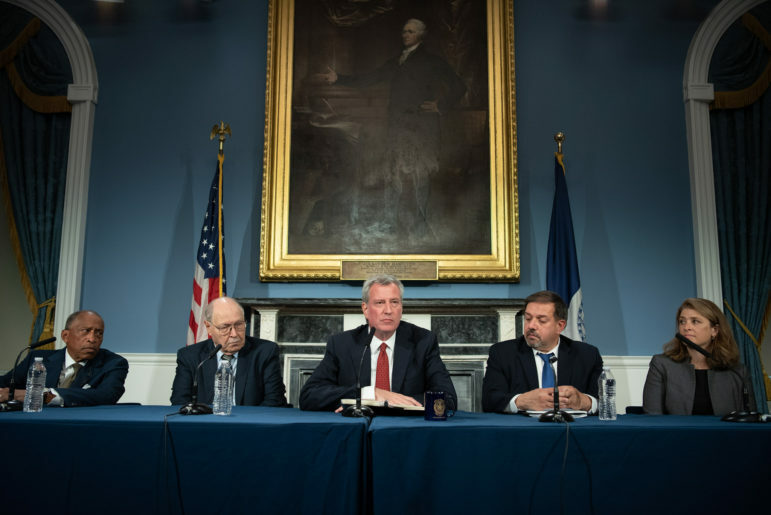 The agreement includes at least $4 billion in total city spending—including revenue forgone by not charging NYCHA for sanitation or police services, a practice de Blasio ended—over 10 years, $2 billion of that in capital money. An additional $1 billion in capital money over the next four years, plus $200 million every year after that if the agreement remains in effect, is also in the deal. The monitor, to be nominated by federal prosecutors and approved by the court, will be paid for by the city and be given access to internal information and NYCHA personnel in order to ensure the authority is following the laws on lead paint, mold, vermin, heat and inspections. NYCHA also promised in the agreement to create a compliance department and a health and safety department. De Blasio said he viewed the consent decree as a mechanism to achieve more cooperation with the federal government, and indicated optimism that, as has been the case at the NYPD and Department of Correction, a federal monitor could be a positive force. The consent decree confirms what has been acknowledged for months: That NYCHA stopped doing regular lead inspections during the Bloomberg administration, that senior authority leaders were aware of that lapse, that the authority falsely reported that NYCHA was doing the inspections for six years and that NYCHA didn’t use safe practices when dealing with lead. The federal complaint also alleges that at least 19 children—and probably more—were sickened by lead paint in NYCHA apartments. 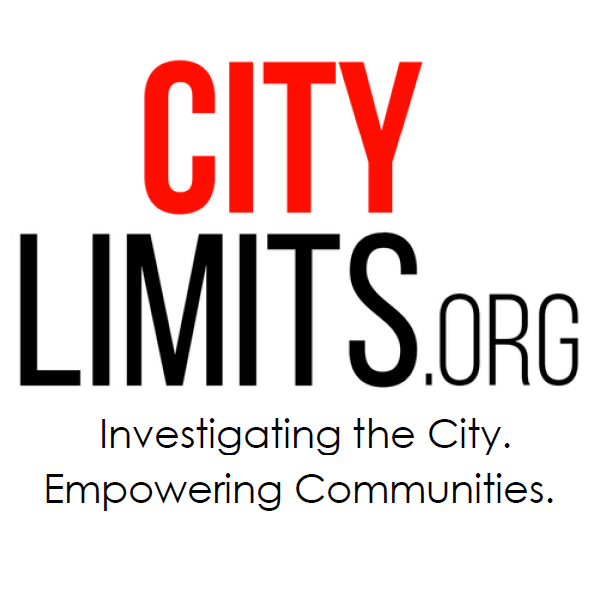 Complicating the picture is the fact that eight of the 19 cases cited by the feds occurred in apartments the city listed as lead-safe under decision by previous administrations. The mayor said NYCHA was re-inspecting apartments that had been removed from the lead list. The mayor promised “serious consequences” to anyone found to have been party to the deceptions. But he shut down a question directed to Deputy Mayor Alicia Glen about her role in overseeing NYCHA. “We are not here to rehash every step of the past,” he said. “The mismanagement of NYCHA, as well as the attempt by the de Blasio Administration to mislead the public about the full nature and extent of that mismanagement, will be remembered as a blight on the legacy of our current mayor and those who came before him,” Torres said in a statement. Mark Gjonaj, a Bronx Councilmember, called for a perjury investigation into testimony NYCHA officials had presented to the Council. There should be a criminal investigations. There are people who should be held accountable for these crimes which include children getting very sick. The City Council should be looking into the HR&A connection to all the hires in NYC including Shola Olatoya and why did Alicia Glen not have to answer questions on her role. The corrupt role of officials and management is institutionalized as can be seen from the instructions given to employees to deceive inspectors. The major problem with the housing projects is the fact that LOWEST BID workers are hired for ALL JOBS. ln less than 3 months the poor quality work deteriorates rapidly. Why didn’t officials come up with such a solution earlier, before the years of public hearings and preparation for a complete, more than year-long shutdown? When it comes to making repairs, NYCHA follows a somewhat different set of procedures and rules than private landlords. There are differing views on whether this makes sense.